Joining Fairway was one of the easiest financial decisions I have made for our portfolio of properties. Lowering our prices with our existing vendors has had a direct positive impact on our bottom line and Fairway has made that possible. We look forward to being part of the Fairway family for many years to come. 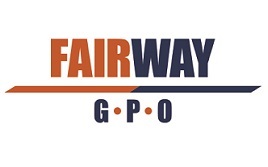 Our family has been in the property management industry for decades and we had never heard of a GPO for our industry prior to being introduced to Fairway. We knew that GPO's were very popular in healthcare and were excited to learn more about how it could benefit our business. We decided to join and give Fairway a try and the numbers instantly spoke for themselves. Our cost for shipping documents came down by 60 percent and our maintenance supply cost came down by 15% in the first month. Needless to say, we now use Fairway's contracts for most of our purchases. As a hotel owner, there is no one in my organization who looks at the bottom line more than I do. 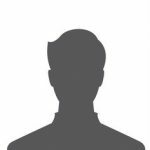 We had looked into other group purchasing options prior to joining Fairway but none fit our needs as they all had membership fees or various purchasing commitments needed just to join the program. Fairway was the only option that made sense to me as there was no risk in joining and no cost to do so. The savings they have provided us far exceeded my expectations and the employee discount programs they offer were a great added bonus to offer my staff. One of the toughest challenges I face as an administrator is balancing the rising cost of products and services with the lower reimbursement rates we receive for patient care. By joining Fairway we saw our costs on our food, medical supplies, office supplies and technology services come down by almost 30% with our vendors. Fairway has been a tremendous partner for our home and I have recommended their offering to many of my colleagues. Becoming a member of Fairway was a no-brainer for us. We don't employ a full-time purchasing director and so there was only so much negotiating power we had with vendors. By joining Fairway we now have access to pricing from our vendors that we never knew existed and our costs have come down substantially. The money we save can now be put towards other resources that are needed to better educate our students.